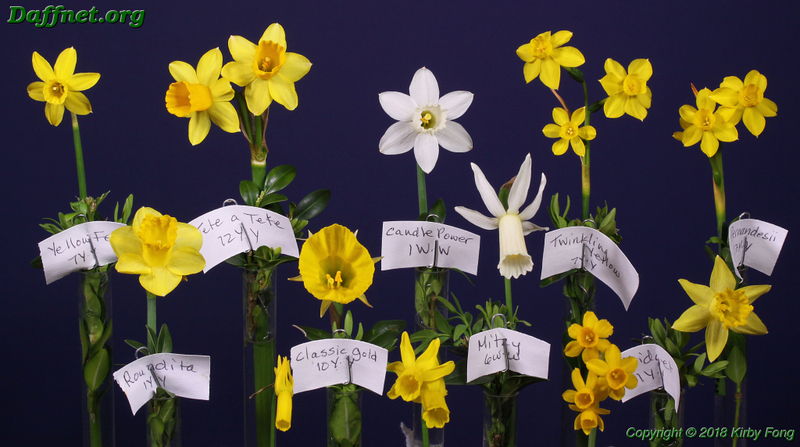 Here are the ADS awards for miniature daffodils at the 2018 ADS national show. If I don’t mention a particular award, it means the award was not given or there were no entries in its class. 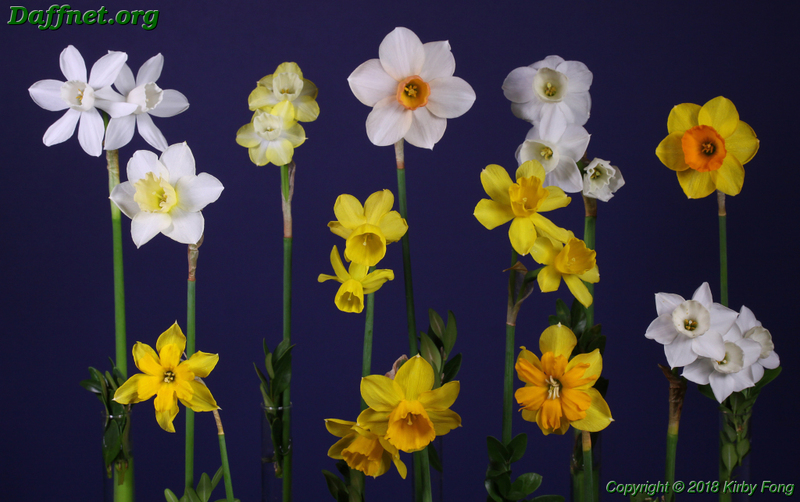 The Miniature Gold Ribbon is for the best miniature in the show excluding the Container-Grown Section and the ADS Challenge Section. The winner was ‘Heidi’s Sister’ 6Y-Y exhibited by Mary Lou Gripshover. The Miniature Rose Ribbon is for the best miniature seedling in the show exhibited by its originator excluding the Container-Grown Section and the ADS Challenge Section. The winner was seedling 2013-043-1 4W-W exhibited by Harold Koopowitz. The Miniature White Ribbon is for the best set of three miniatures in the show. The winner was ‘Crevette’ 8W-O exhibited by Becky Fox Matthews. Front: ‘Norwester’ 6Y-Y (Gripshover), ‘Heidi’s Sister’ 6Y-Y (Reed). The exhibitor was Mary Lou Gripshover. 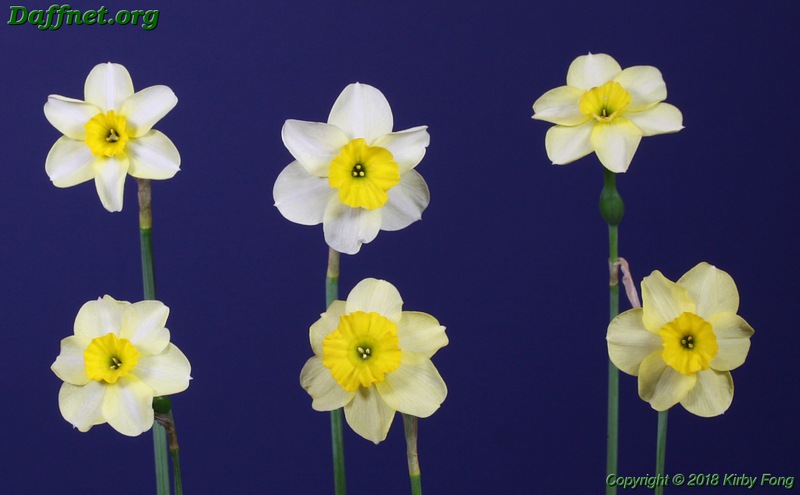 Front: ‘Jumblie’ 12Y-O, ‘Elka’ 1W-W, ‘Golden Quince’ 12Y-Y, M118 1Y-Y. The exhibitor was Kathryn Andersen. Bottom row: N. cyclamineus 13Y-Y, ‘Little Becky’ 12Y-Y, N. calcicola 13Y-Y. 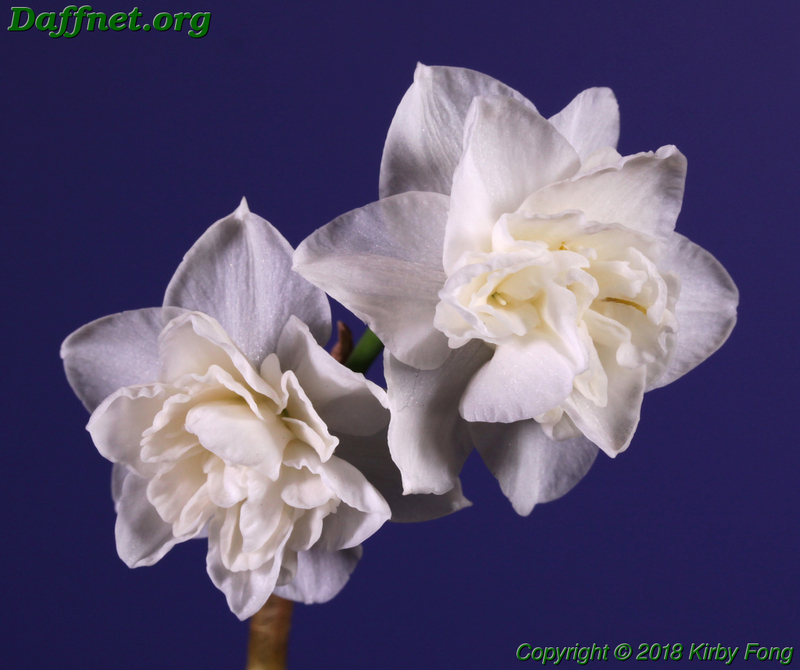 2013-041-7 8W-P, Keira KB-BH-12 10W-Y, 12-097-11 7Y-W.
Fittingly, the exhibitor was Harold Koopowitz. 07-97-2 7Y-Y (‘Spring Charm’ x SNR7). The exhibitor was Larry Force. 7-92 7Y-GYY (‘Chiva’ x SNR7), 8-35-12 7Y-Y (‘Yellow Pearl’ x SNR7). Bottom row: X-34-2 11aY-O, 2009-078-1 12Y-O, ‘Itsy Bitsy Splitsy’ 11aY-O. The exhibitor was Harold Koopowitz. Front: ‘Snipe’ 6W-W, ‘Oakwood Tyke’ 1W-W. The exhibitor was Janet Hickman. The entry was originally staged with each cultivar behind another on the table. I have separated them for this photograph so that you can see them. 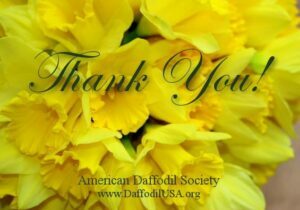 This concludes my postings of the ADS award winners at the 2018 ADS national daffodil show. All the information from the show report form has been included in these postings. 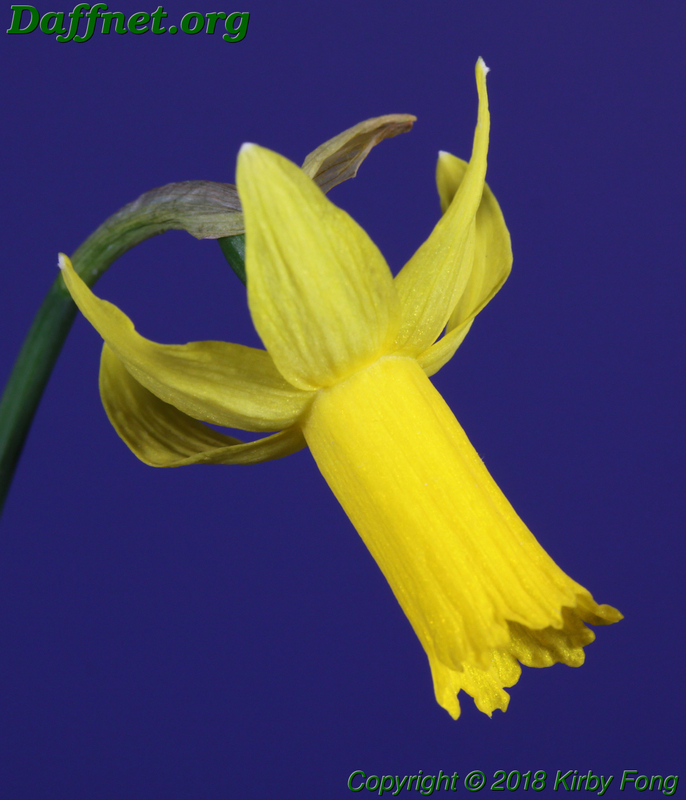 It’s an effort to type all the flower names in all the collections, but I consider it important to identify all the flowers in the photographs.